Martha Fokker is not the most trusting of people. When her friends and allies start disappearing, she suspects foul play. Well, if there wasn’t foul play before, there will be by the time Martha gets finished! And Make Love Not War also takes a bow in chapter 33 of Martha’s Children, a story of Chicago cops, vampires, sorcerers, and disused basements. I’m on the road for the weekend. My home town’s historical society has asked me to portray the town’s most politically important historical figure, George S. Boutwell (1818 – 1905). Never heard of him? Most people haven’t. Probably his proudest moment was his role in helping to secure the rights of the former slaves after the Civil War through the adoption of the Fourteenth and Fifteenth Amendments to the Constitution, which ensured that the former slaves would be citizens with the same right to vote as free whites. 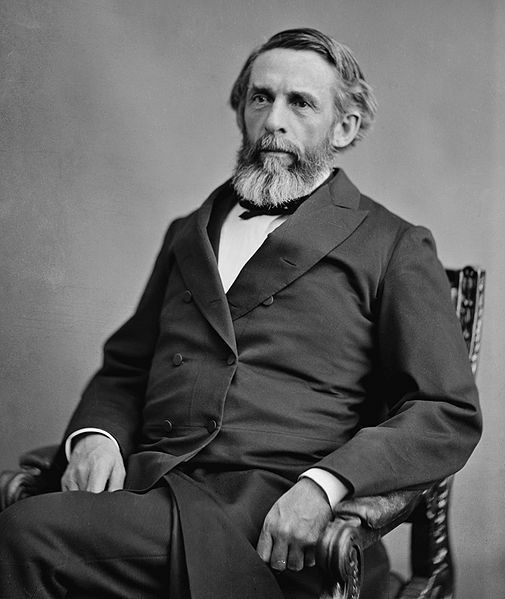 He also served on the committee in the House of Representatives that impeached President Johnson in 1868; a picture of that committee, with Boutwell in the center, serves as the banner picture for my other blog, No Humble Opinion. 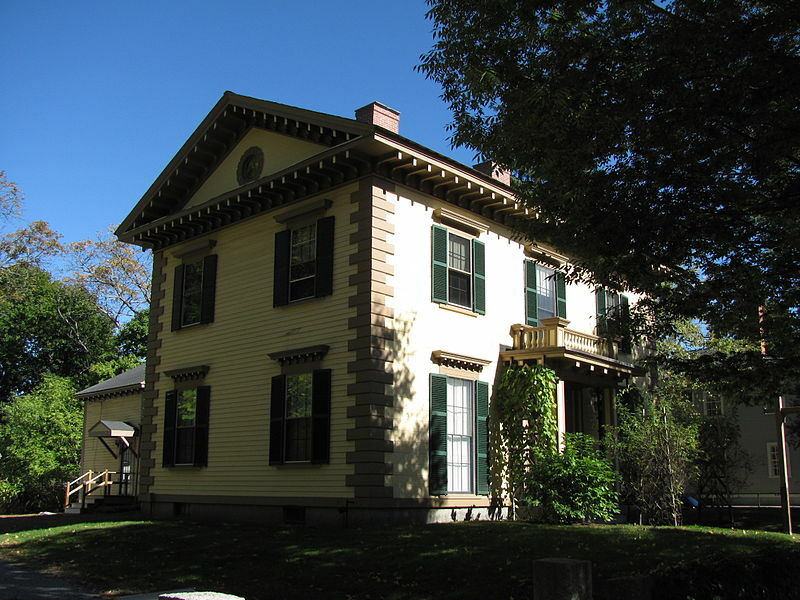 Boutwell’s house serves as the town historical society’s headquarters. I’ll be spending a day there, portraying Boutwell at his ease in the 1880s, greeting visitors and talking about life as a lawyer, elder statesman, family head, and gentleman-farmer in the small farming community that Groton, Massachusetts was in the 1880s. This entry was posted in History, Martha's Children, Writing fiction and tagged Boutwell, Chicago, fantasy, Groton, historical society, Magic, supernatural, vampire, Writing. Bookmark the permalink. I wish I could be there to meet “Mr. Boutwell” and hear him speak. Ditto Suzy…..what fun that would be! I have posted some pictures on Facebook, Judy, so you can at least see me in the house Boutwell inhabited from 1851 to 1905. And I’ll wager you loved every moment of it. Oh, to act out an historical person. Which sets me thinking to who I’d most like to portray – apart from Bouddica. I think it would be Gunnhild Haroldsdochta (King Harold’s daughter). I trust that your weekend went well. It did. My performance went off quite well, even though I did get some questions I couldn’t answer. (I take refuge in the fact that no one else knows the answers, either.) The Society enjoyed it immensely. And the costume worked well. By now, you’ll have seen some pictures on a subsequent post. I have indeed. And very convincing you looked.